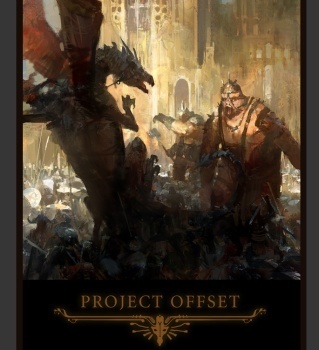 Intel has canceled Project Offset, the awesome-looking first-person fantasy game that's been in development since 2005. When Project Offset first came to light, jaws dropped. There wasn't much to see in the way of gameplay, but it was an absolute wonder to look at. The game was intended to be a fantasy FPS, although despite being in development for five years it never managed to get beyond that very vague description, and its future has been in doubt for some time. The last Project Offeset tech demo video came out in February but the projectoffset.com website hasn't been updated since March 2009. Now Intel, which acquired Offset Software in 2008, has made it official: The plug has been pulled. "Intel purchased Offset Software to improve our game development knowledge-base and to further Intel's visual computing technology development expertise, helping the company offer robust products, support, and tools to customers," the company said in a statement. "With the recent changes in our product roadmap, some of the resources and technologies from the acquisition are being re-applied to help support new graphics related projects. Additionally, other Offset Software team members have moved onto other external projects outside the company." Those "recent changes," according to Big Download, likely refer to the decision to cancel Larrabee, the code name for a GPU in development at Intel that was shut down after it failed to live up to expectations. Some of the Offset Software team, including founder Sam McGrath, have formed a new studio called Fractiv LLC, although whether Project Offset will continue development in any form at Fractiv is currently unknown. McGrath told Big Download that he would talk about Fractiv, the end of Offset Software (and hopefully Project Offset itself) "in the near future."